Exclusive! Breezy and beautiful! Flowy, woven polyester georgette blouse over a polyester/spandex knit tank creates an effortlessly polished look. 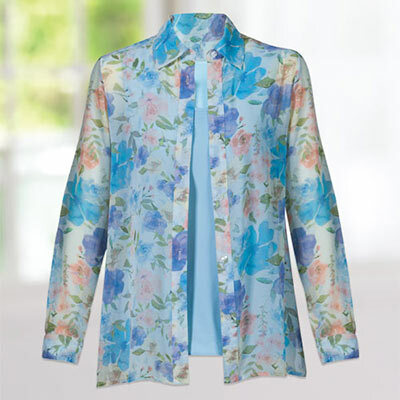 Our Floral Shirt and Tank Set goes from office to evening with ease and looks great with jeans, slacks or skirts. Machine wash. Imported. Misses, approx. 27"l.